The easiest way to earn some extra cash from links you already share. 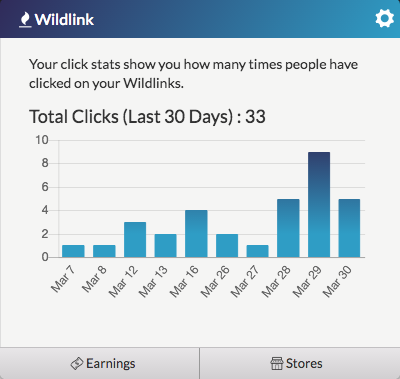 Wildlink is a tray utility that monitors your clipboard for eligible links to products and stores, then converts those links to shorter, profitable versions. When someone clicks through your links and makes a purchase, you earn a percentage of the purchase.